Fair housing has been the law of the land for more than 50 years. But how much progress have we actually made in achieving fair housing and what are some of the key lessons learned about housing discrimination and residential segregation? The program will run from 8:30 – 10:30 a.m. and also includes the FHC Board of Directors Award. The award will be presented to David Esau with Michigan Accessible Homes, a division of Cornerstone Design – an architectural firm based in Ann Arbor. Mr. Esau has collaborated with the Fair Housing Center since 2006 on fair housing issues relating to accessibility under state and federal law. His expertise has aided in the resolution of nearly a dozen fair housing complaints including: Lowrey v Uptown and Tankson v Randolph Court. Tickets are $50 for members, $75 for non-members. Table discounts available. More ticket details here. Interested in sponsorship? Contact Kristen at kcuhran@fhcmichigan.org or view our Sponsorship Invitation. 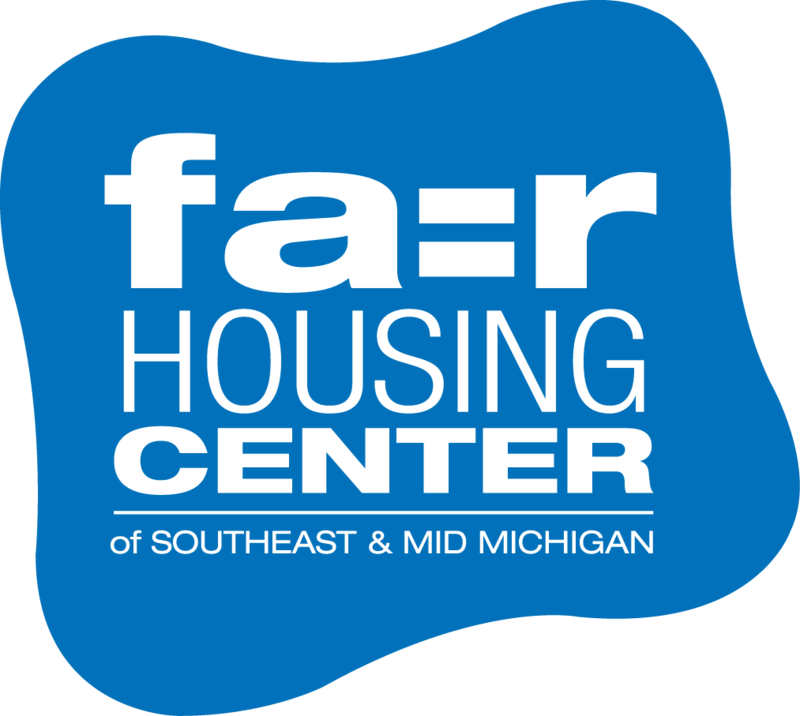 The Fair Housing Center of Southeast and Mid Michigan, founded in 1992, actively protects the civil rights of those who are discriminated against in the rental, sale, or financing of housing through investigation, education, advocacy, and legal action. The FHC takes an average of 160 complaints each year from its eight-county service area – Clinton, Eaton, Ingham, Jackson, Lenawee, Livingston, Monroe, and Washtenaw counties. Our mission is to end discrimination in housing and public accommodations and to promote accessible, integrated communities. The Breakfast is our primary fundraising event. The work that provided the basis for this publication was supported by funding under a grant with the U.S. Department of Housing and Urban Development. The substance and findings of the work are dedicated to the public. The author and publisher are solely responsible for the accuracy of the statements and interpretations contained in this publication. Such interpretations do not necessarily reflect the views of the Federal Government. If any of these comments affect your life (or the lives of your family and friends) we encourage you to come this free community event in Adrian. 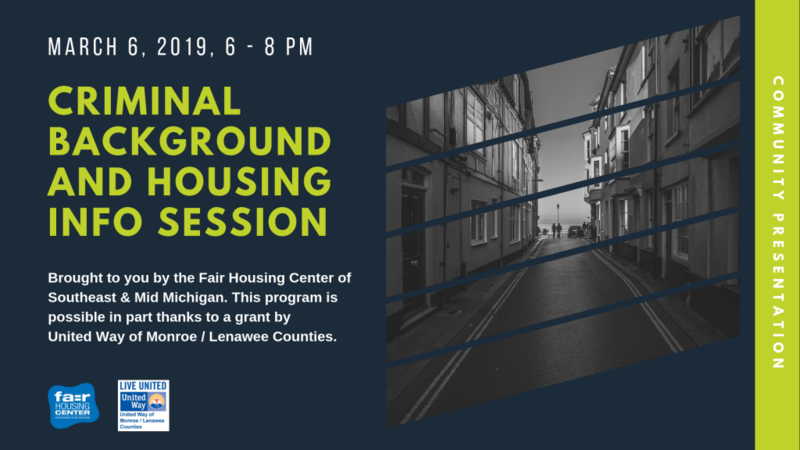 The Fair Housing Center will present on the new HUD rule that addresses criminal background and housing, provide information on help that is available, and allow time for questions from attendees. Please let us know if you will be attending by emailing info@fhcmichigan.org or by phone 877-979-FAIR. This program is possible in part thanks to a grant by United Way of Monroe / Lenawee Counties. Thank you also to Nation Outside. Listen now. 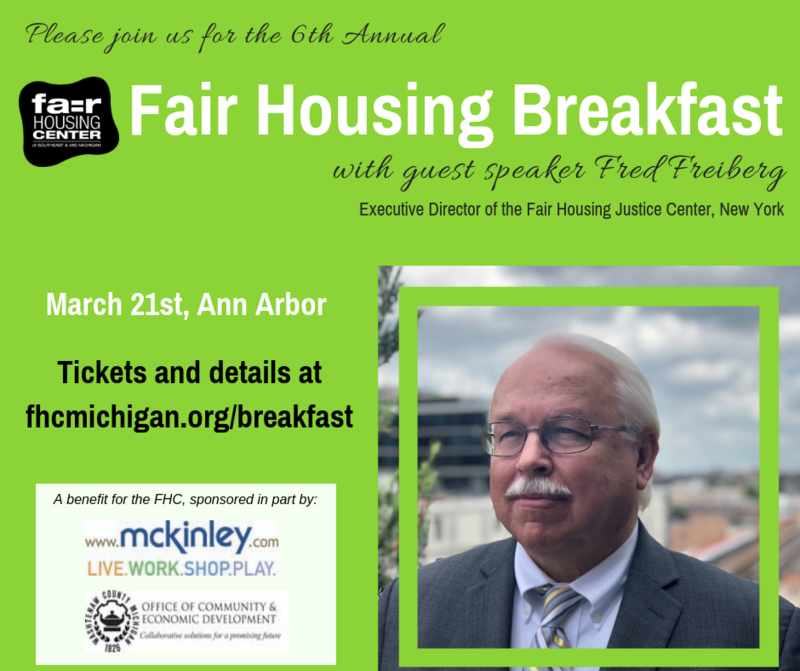 Reporter Jorge Avellan talks with FHC complainant Sarah Tankson about her disability rights case and Director Pam Kisch weighs in on the current state of fair housing in Washtenaw County.